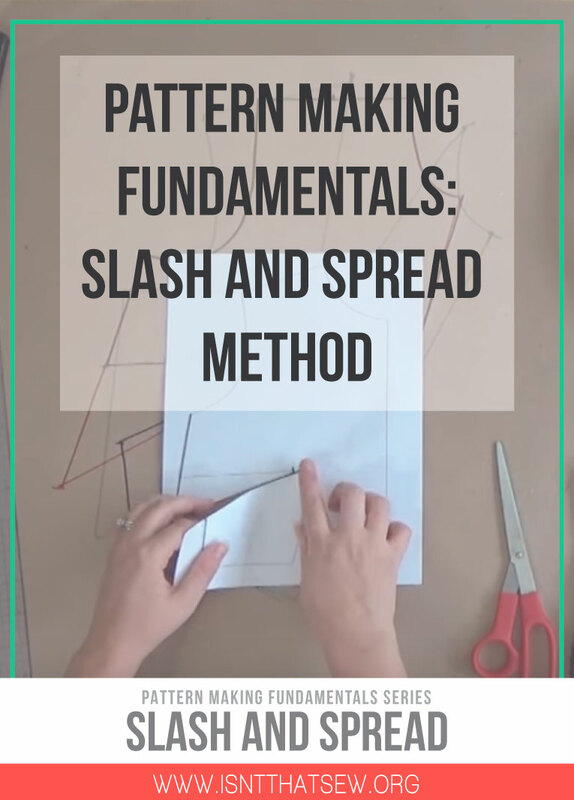 The slash method, both slash and spread and slash and close is a fundamental pattern making technique in which a pattern piece is cut or slashed and then spread apart to add fullness or closed to reduce fullness. This technique is most often used to add fullness. For example: ruching, decorative darts, ruffles, flares, flounces, or gathering. But, it can also be used to close darts, and reduce fullness. More about that here. The actual technique itself is very simple, and very intuitive. However, it’s a bit tricky to explain…So, let me show you! I hope the video helped to explain this fundamental pattern making technique. Please feel free to download the half scale practice pattern set below to try your hand at this technique! But, what to do about the back skirt? I know, I know…I didn’t mention anything about the back skirt! Sorry! The answer is simple, the same thing! You’ll just have to make sure the spread is equal to the front spread. To do this, complete your front pattern…and when it is time to slash and spread the back pattern, simply lay it a top the front to ensure you have the same spread! See, easy! 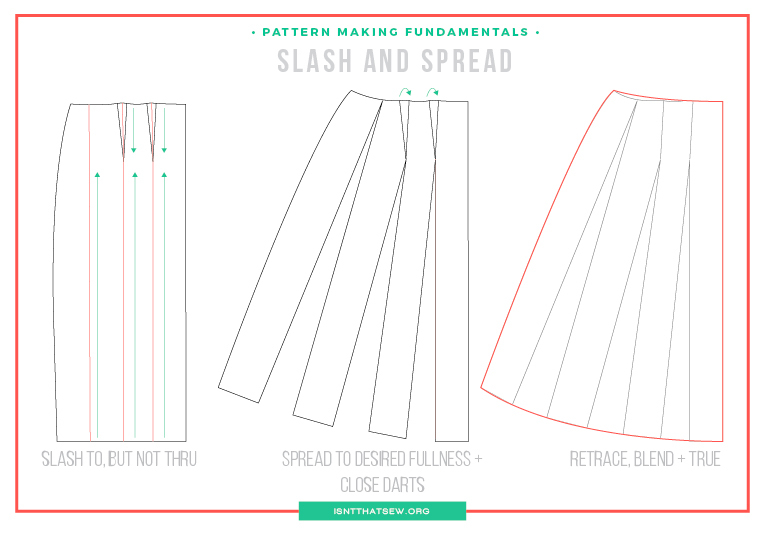 The slash and spread technique sometimes requires completely cutting the pattern apart to add fullness. In this case, to add gathers to the sleeve cap and sleeve hem. If you only wanted gathers on the hem, you would simply slash to but not thru the sleeve cap. And if you only wanted gathers on the sleeve cap, you’d slash to but not thru the sleeve hem. Make sense? I hope so! 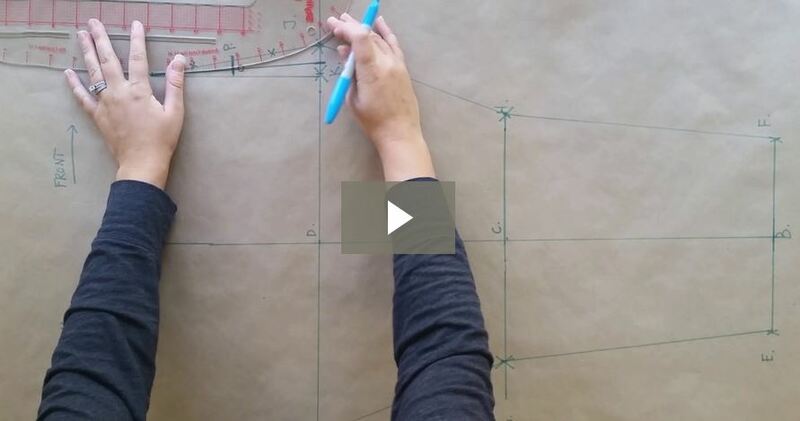 Tip: When cutting your pattern completely apart, use the pro tip I share in the video! 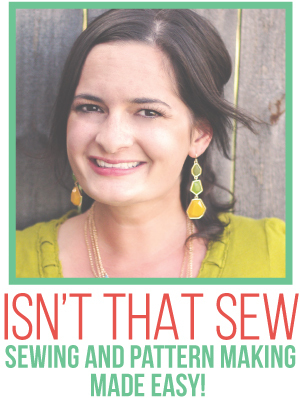 Never cut your block, sloper, or pattern. Always transfer the pattern to another medium first. Always add or remove width from several points, not one point. Using only one point will create an unflattering and uneven result. Make sure to evenly distribute length and fullness (or lack there of). 2019 and still relevant. Thank you! Thanks for explaining this method! I’ve read the section on how to make the back piece, but I’m still a bit confused. If I use the same method for closing the darts on the front and back pieces, the result is that the front is much larger (more of a spread). To correct this, I’ve done as you suggested: lay the back piece on top the front to ensure I have the same spread — but aren’t I essentially just creating two front pieces then? Should they be identical? Thanks for explaining. You’ll need to use your back skirt sloper pattern piece to make the back skirt. If you are after a little flare, you will probably end up w/ a slightly different waist curve. With that said, if you’re going for a lot of fullness (say just shy of a circle skirt) the front and back can be the same piece. I hope that helps. I’m sorry, I don’t have one specifically on that topic. However, the techniques are the same for all pattern pieces. Ok I get it now…I see so many dress ideas with the slashes and never understood why anyone make so many cuts. 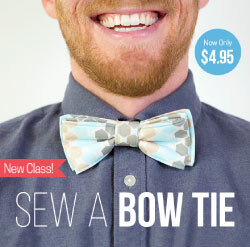 Never even considered it was just for the pattern. You have made things so much clearer. Would you recommend this over doing a circle cut? Glad to help! I wouldn’t use this technique for a complete circle skirt. There are better methods of doing that. 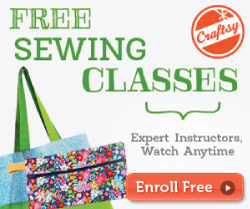 Do a quick google search and you’ll find a plethora of tutorials! You’re so welcome! Thanks for the kind words! YOU ARE ABSOLUTELY AWESOME.. THANKS FOR TAKING YOUR TIME TO MAKE THIS AWESOME VIDEO AND FOR SHARING AS WELL. GOD BLESS YOU. Thanks for those kind words Naomi! God Bless! Thanks a lot for sharing. Enjoyed the tutorial….No one likes to waste paper.